Is is possible to access the individual field values of the QuickTools Address Field? I am forwarding form entries to another application that accepts entries via email. My form uses the QuickTools Address field. Can I access the individual field values to include in a templated email notification? 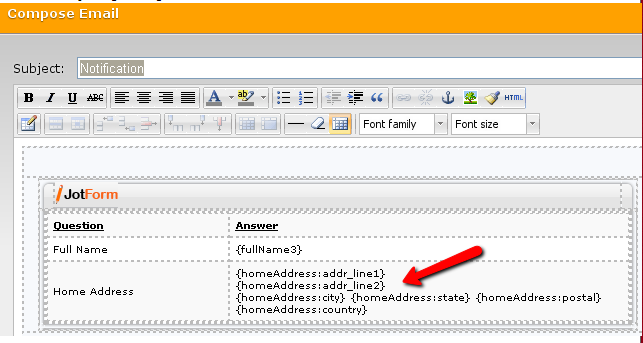 On the very last portion you will see how the Home Address field was breakdown to capture each individual index data. You're quite welcome. Feel free to contact us again anytime for any other inquiry.